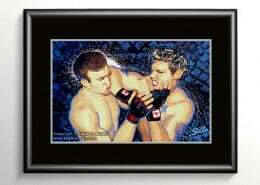 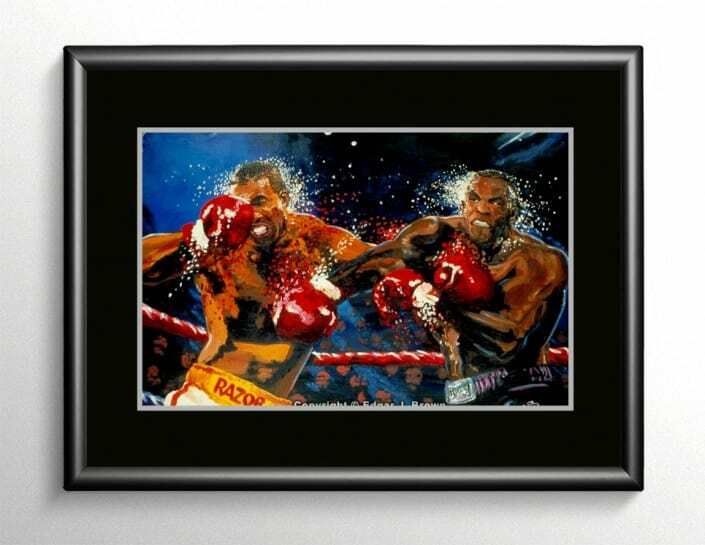 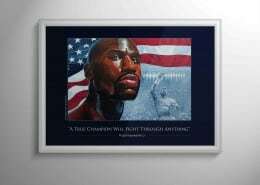 Sports Art Painting of Mike Tyson vs Donovan “Razor” Ruddock. 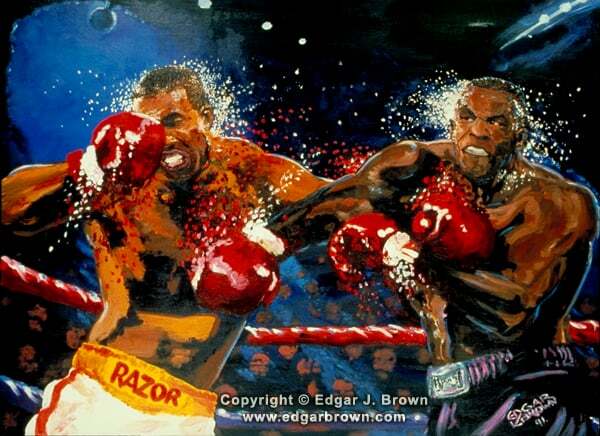 Razor, considered one of the most dangerous heavyweights of his time, connects with… his famous left hook at the same time Mike Tyson counters with his right hook. 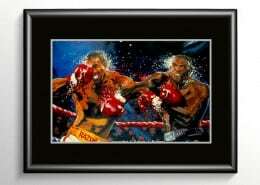 A six-punch combination followed and Richard Steele stepped in and stopped the bout in the seventh round.